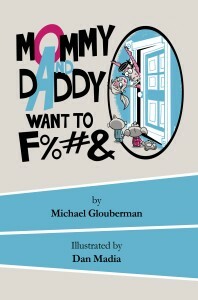 Mommy and Daddy Want to F%#& is an grown-up picture book about a Mommy and Daddy who are desperate to get a little alone time away from their kids. My kids! I love them all to death, but boy they got in the way of my love life! I based them on my wife and myself, although my wife will not admit that. The children are an amalgam of my own four kids.